Here in Boulder we get 50 degree warm ups and cool downs in a matter of a few minutes. 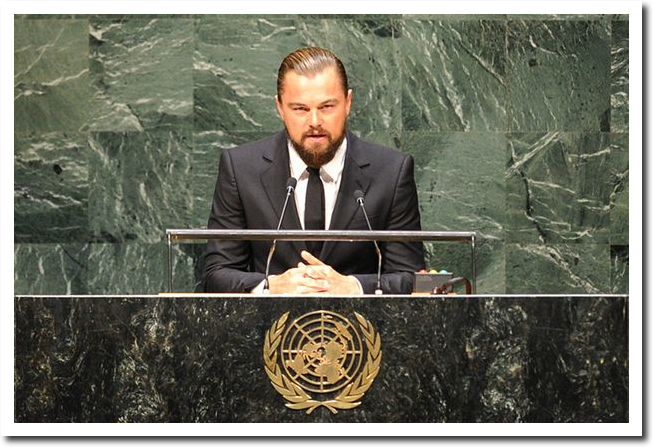 UN climate expert Leonardo di Caprio believes this is due to global warming. Just lovely, I get home from nightshift, it’s -24 C and some of my pipes are frozen. The “MORON” is strong in di Caprio. Such huge fast temperature ups and downs are common in many places like eg istanbul or izmit where it is usually warm but all of a sudden 10-20inches snow can fall overnight-and completely melt away within few day. therefore everything he can do is to read from a script others have written for him. di Craprio is probably down at his island in Belize. DiCaprio experienced the magic of a chinook, which he described as “scary” in a Variety.com article while shooting The Revenant near Calgary last winter. “I’ve never experienced something so first-hand that was so dramatic. You see the fragility of nature and how easily things can be completely transformed with just a few degrees difference. It’s terrifying, and it’s what people are talking about all over the world. And it’s simply just going to get worse,” said DiCaprio.